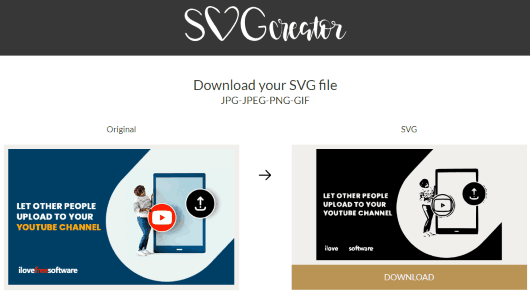 Here are 7 free online PNG to SVG converters. Converting a PNG image to Scalable Vector Graphics (SVG) image format file is pretty easy with all these websites. 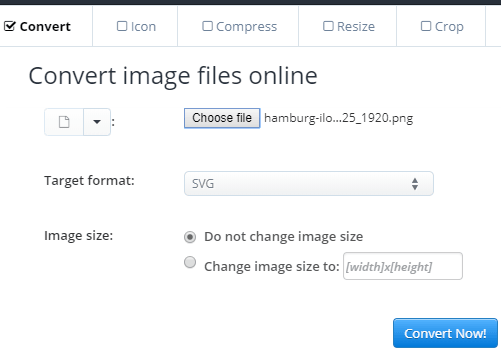 All sites let you add PNG image from desktop and convert it to get the output SVG. While some sites convert one PNG to SVG at once, others come with batch PNG to SVG conversion feature. There are many other interesting features present in these websites. Most of these sites can also be used to convert JPG to SVG, BMP to SVG, etc. 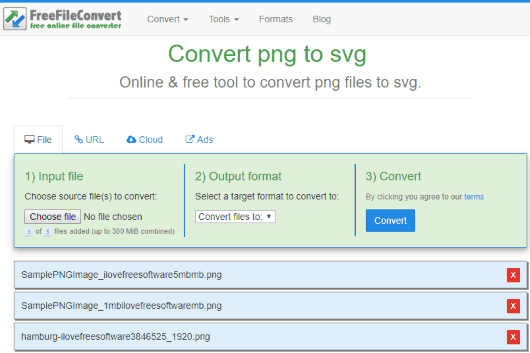 There are features like converting an online PNG file by adding its URL, add PNG from Dropbox or Google Drive, download all SVG files in a zip file, preview the PNG image and output SVG image, etc. Let’s check these free PNG to SVG converters one by one. Convertio is one of my preferred options for online file conversion. The good thing is PNG to SVG feature is also available. 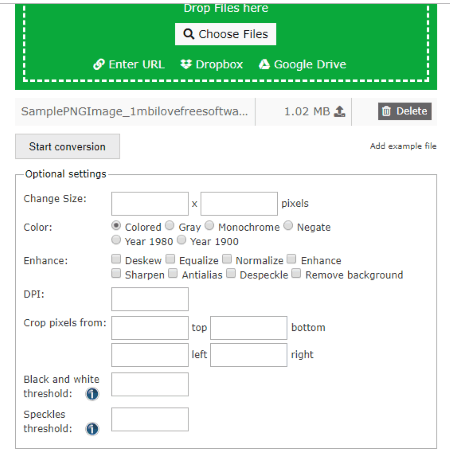 Multiple PNG files (up to 100 MB per image) can be added from your Dropbox account, PC, or Google Drive account. After that, you can start conversion in a click. Maximum 2 PNG files are converted at once. You can save the final output one by one or at once in a zip file. All its features make it a much better PNG to SVG converter. Online-converter.com (Homepage) is one of the best websites for PNG to SVG conversion. It also lets you convert multiple PNG files (maximum 100 MB all images) and you can add PNG images from your desktop, Google Drive, or Dropbox account. Before you start PNG to SVG conversion, there are some settings that you can configure. You can set output height n width, set DPI, crop pixels from right, left, top, bottom, set black and white threshold, etc. If you don’t want to mess with output settings, then keep them as it is. After that, you can begin the conversion and save the output SVG vector files. SVG Creator is also a nice option to convert PNG to SVG image file. This website can convert one PNG at once and maximum size is limited to 2 MB, still, the website is handy. Before downloading the output, it also lets you preview SVG and compare it side by side with input PNG image. I like this preview feature and its conversion speed is also good. Therefore, it has easily managed to reserve a place on this PNG to SVG conversion list. Aconvert.com is handy to convert one PNG to SVG image at a time. The good thing is it lets you change the output image size by entering custom width and height and size limit for the input image is 200 MB (more than sufficient). If you don’t want to do that, then simply add PNG image and start the conversion. You can add online PNG or import PNG from Dropbox, Google Drive, or PC. The output can be saved to Dropbox, PC, or Google Drive. 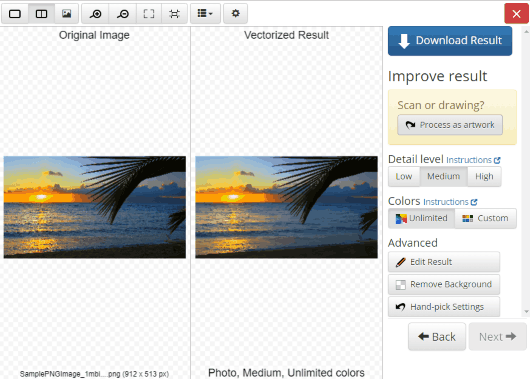 Vector Image is also a good website for PNG to SVG conversion. Like “SVG Creator”, it also lets you preview the input PNG and output SVG images. But, what makes it better than other sites is you can set detail level (high, low, or medium), set number of colors (using custom or preset color palettes), remove background from image, and do other things. The website also provides fully automatic mode, which means you just need to add an image from PC and it will process it automatically to get the output SVG. If automatic mode provides the output as expected, it’s good. Otherwise, you can adjust the options and then generate output. Note: A few times, it took a lot of time to process the input and present the output, but overall the website did a great job in PNG to SVG conversion. FreeFileConvert (Homepage) lets you add up to 5 PNG images and get SVG images as output files. Up to 300 MB size PNG images can be added and the size limit is more than sufficient. You can also convert an online PNG image or add the image from Dropbox or Google Drive. The Dropbox option to add PNG image didn’t work for me but other input options worked well. When the final output is generated, you can save them one by one to PC. It doesn’t provide a lot of features but the available features or options are pretty good. Online SVG Converter (Homepage) is a simpler website on this list. It doesn’t come with extra options. 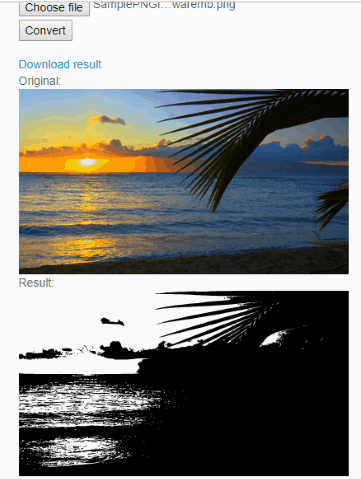 Just a very simple interface where you can add a PNG image from PC and then it will generate the result within a few seconds. The good thing is it shows the preview of output SVG and input PNG on the same page. This helps you get a good idea about the output. When the output looks good, use Download result option and save the output SVG image. Here I close this list which covers the best free online PNG to SVG converters. Each website provides good output and has other good features. 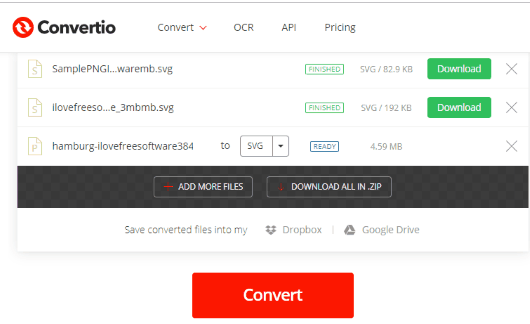 For me, “Convertio” is the best because I have used this website for many file conversions and its PNG to SVG converter feature is also very good. A die hard tech enthusiast who is famous for breaking keyboards with his typing speed. Into writing for 5 years and counting.